It’s time for another fun printable! 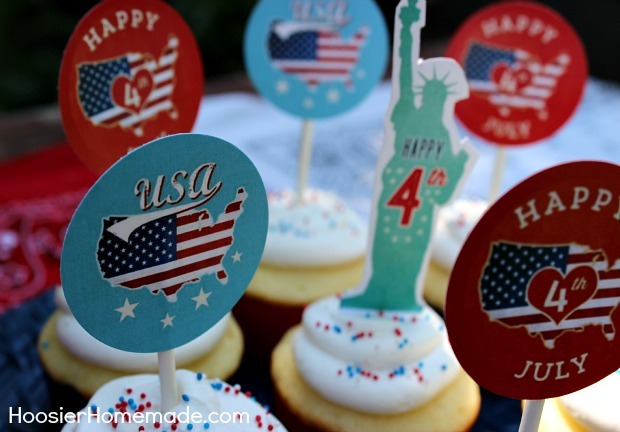 These Fourth of July Cupcake Toppers were in the Cupcake Chronicles Newsletter last Friday, but in case you missed them, I thought I would share them with you! 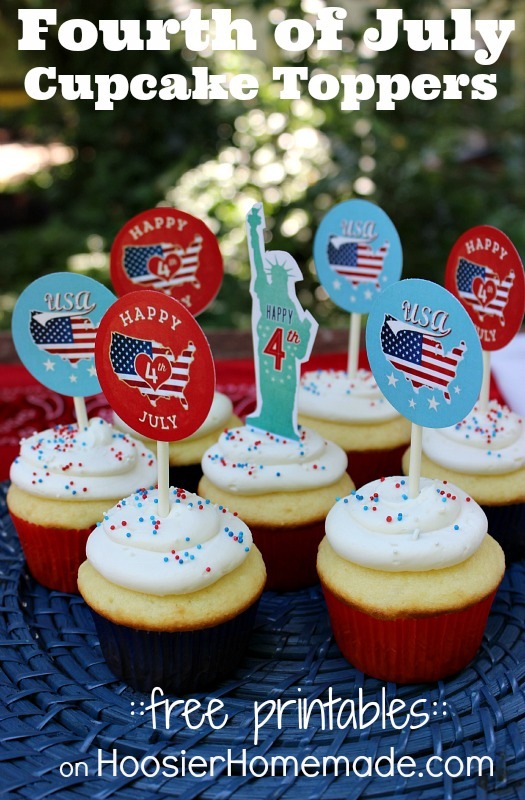 A BIG Thank you to Nikki from Papergravy Printables for designing these cool Fourth of July Cupcake Toppers! Aren’t they fun? I love the Statue of Liberty topper! I used them to decorate my Fourth of July Table, along with other easy to make decorations. 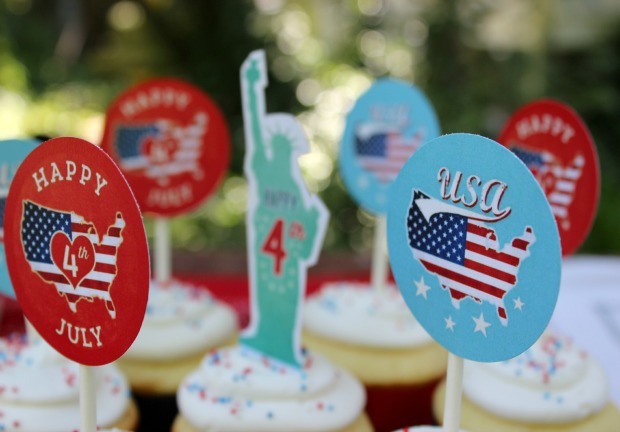 These Fourth of July Cupcake Toppers are available free to all Cupcake Chronicles Newsletter subscribers. 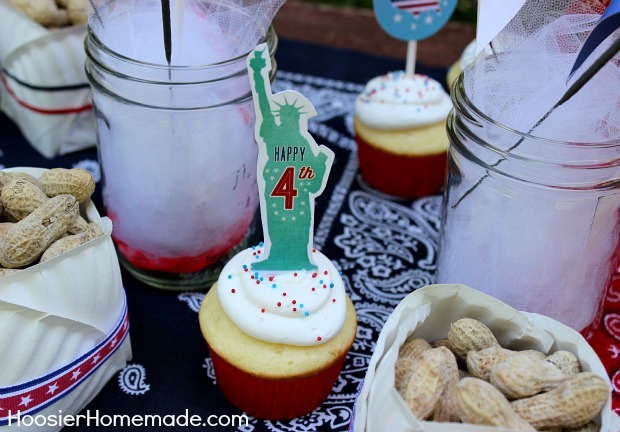 Celebrate 4th of July on Hoosier Homemade! I have not been able to get to the area allowing me to print out the newest cupcake toppers even though I am a member. Can you please tell me how to find these and print them free.